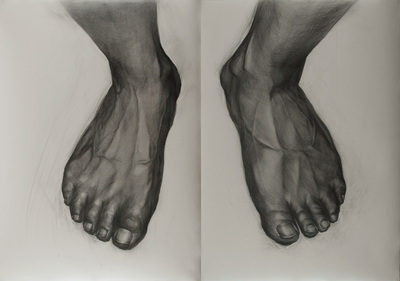 The series ‘We are’ explores the concept of creating memories in the present as the viewer moves along with images of human feet and top-to-bottom perspective of the human body along with a foot washing performance. 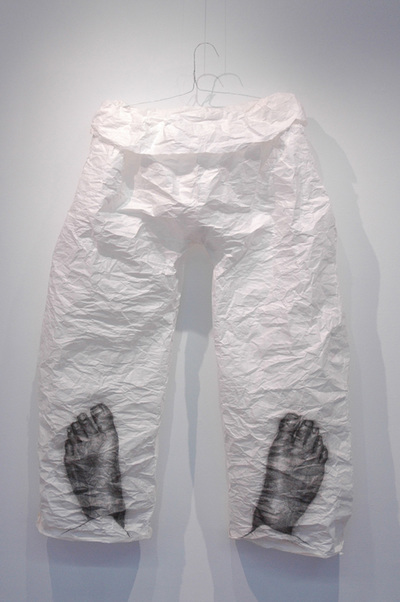 The show consists of 34 graphite drawings on paper and on paper garments that I made out of Korean paper for the foot washing performance. 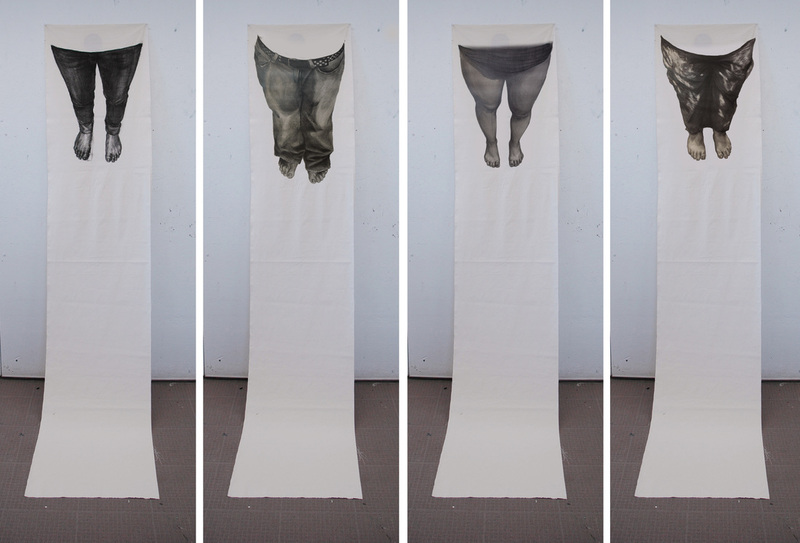 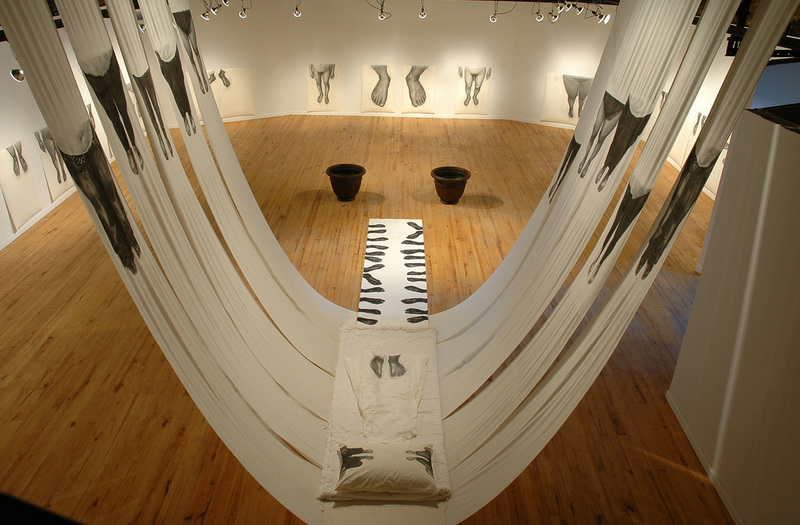 I also made lithographs onto 10 yard long muslins in order to build a structural installation. 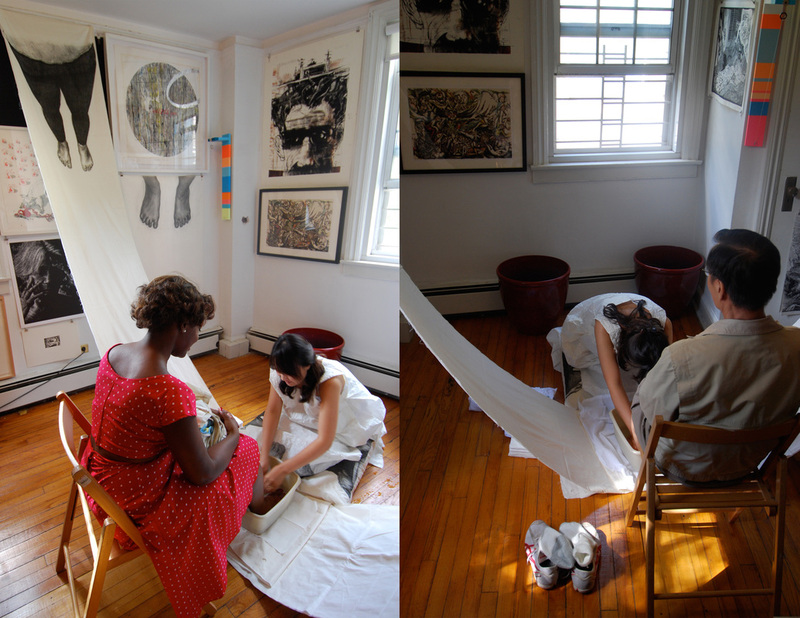 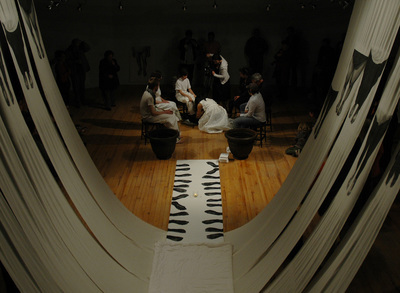 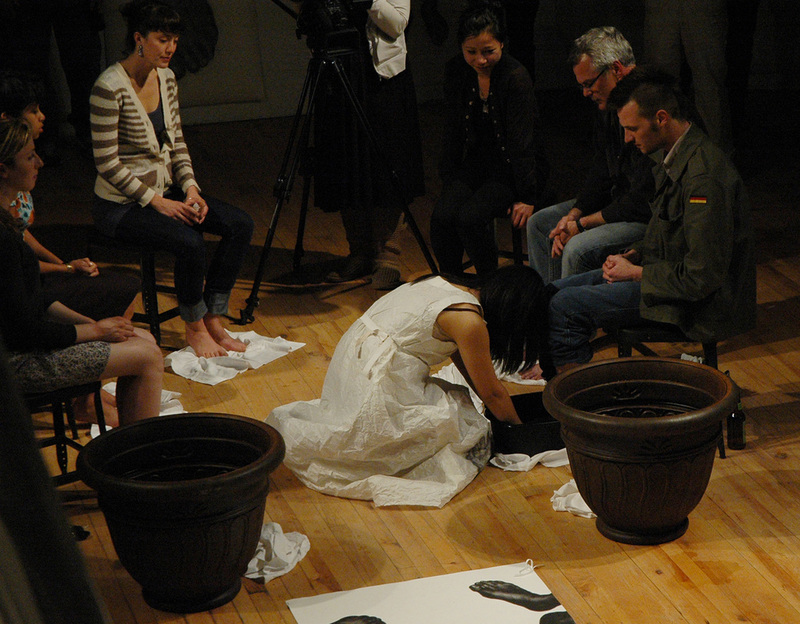 ​In my ‘Foot Washing’ performance, I attempt to use my body as a tool of drawing in space empowered me to share our scents, heartbeats, touches, and given space. 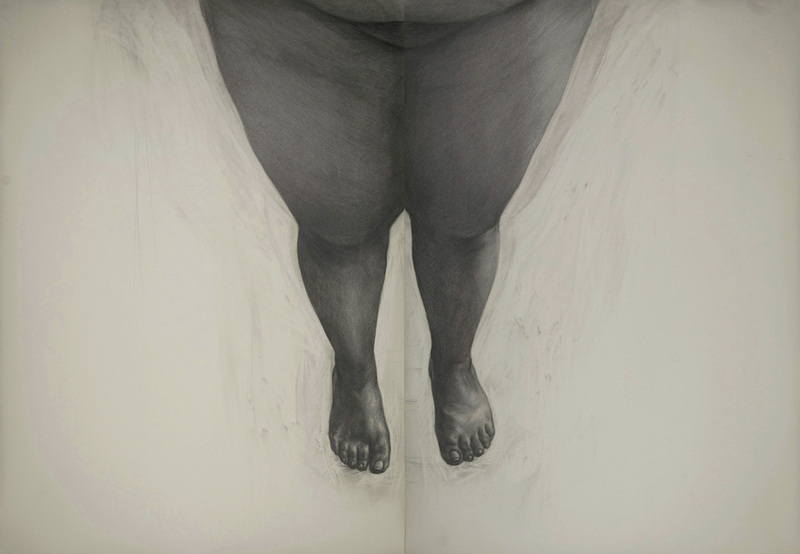 Through the experiences, I began to learn again how to practice love akin to holding my mother’s feet that I had struck by their coldness and lifeless from her terminal illness.